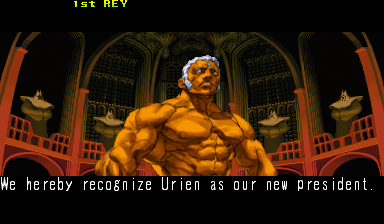 Urien and Gill were born to parents who were long time members of the Illuminati. 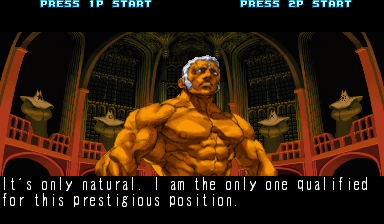 Around the age of 6, the brothers became potential candidates for the presidency of the cult. 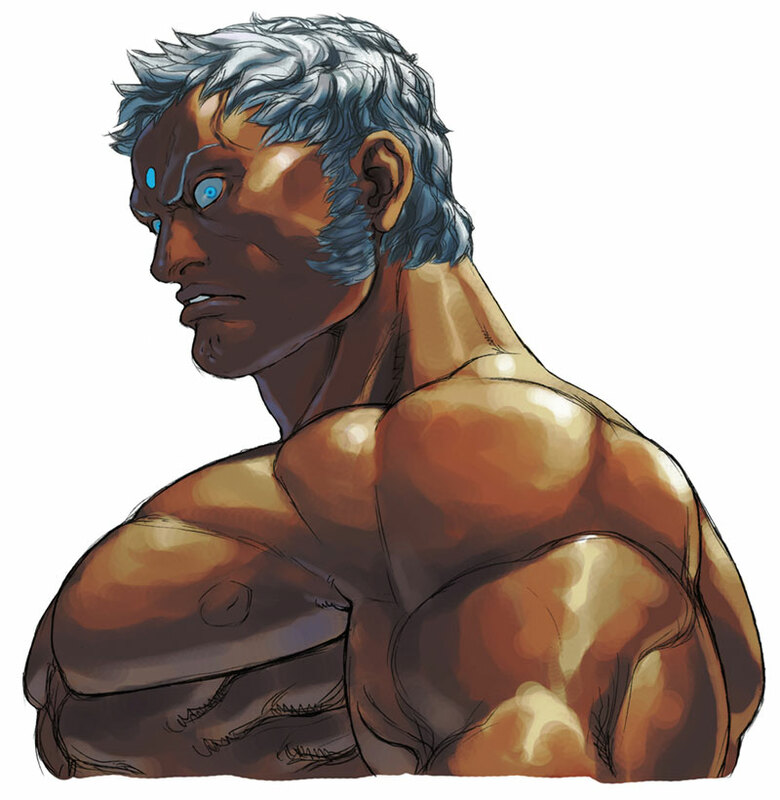 Being the younger brother of Gill, Urien always held grudge against him which stems from being physically inferior to him. 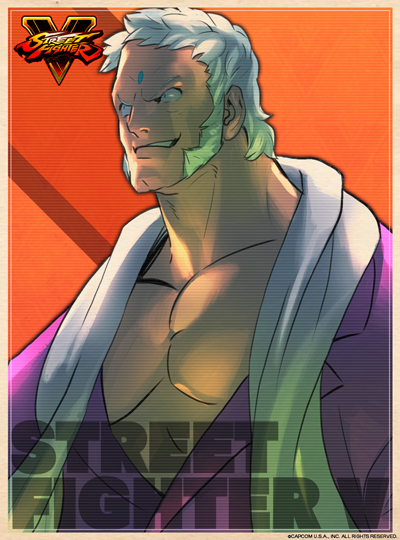 At the age of 22, Gill was chosen to be the president due to his superior strength and charisma. 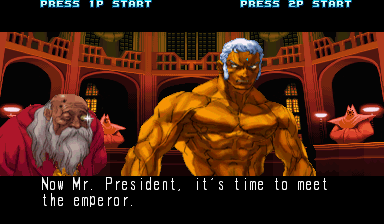 This happened sometime before the events of Street Fighter III. 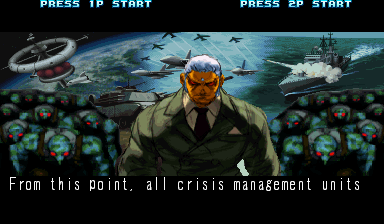 During 2nd Impact, Urien tried to claim the leadership of the organization, the Illuminati. 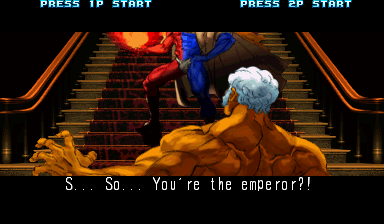 He finally succeeded, and learned that there was an Emperor outranking him, his brother. 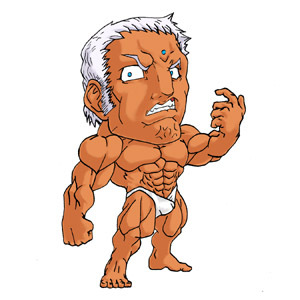 Urien's plans are to overthrow Gill by creating his own army with the G Project. 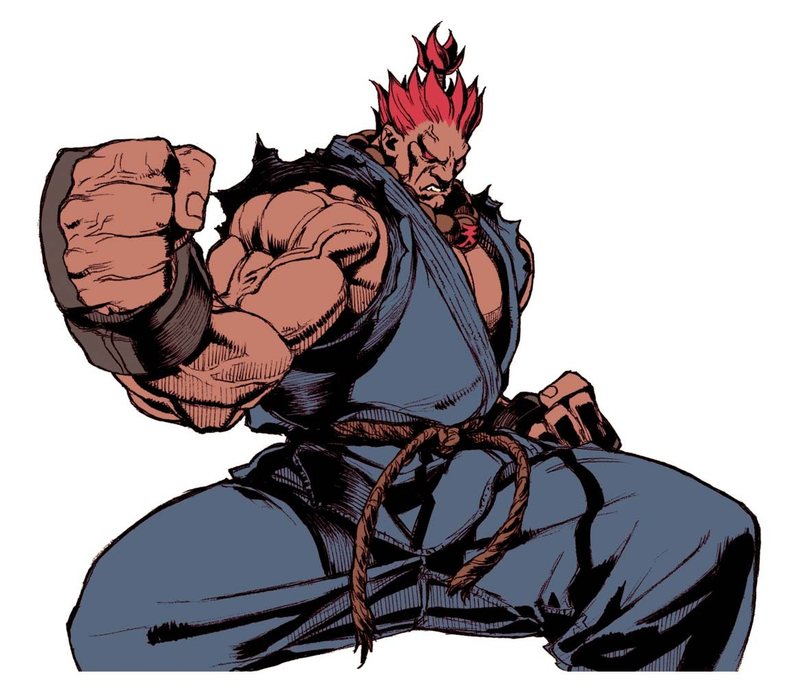 He kidnapped one of the children Chun-Li looks after, which caused her return to the fighting scene. 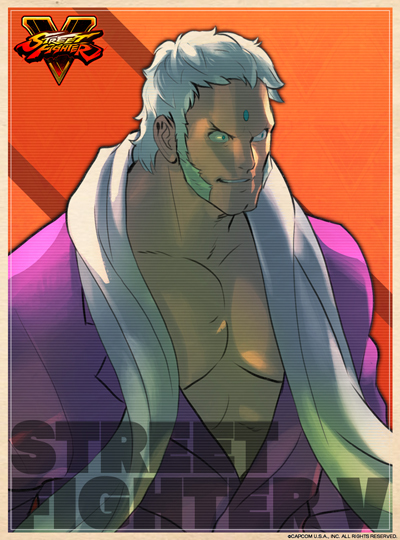 What happened to Urien after the Third World Warrior Tournament is unknown. 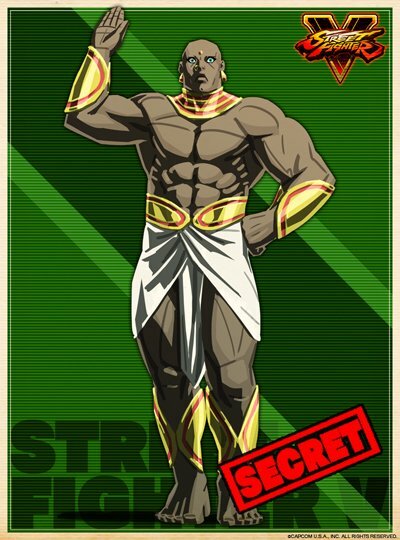 It is believed that he took the leadership of the Illuminati from Gill and destroyed his cryogenically-preserved predecessors (including Gill). 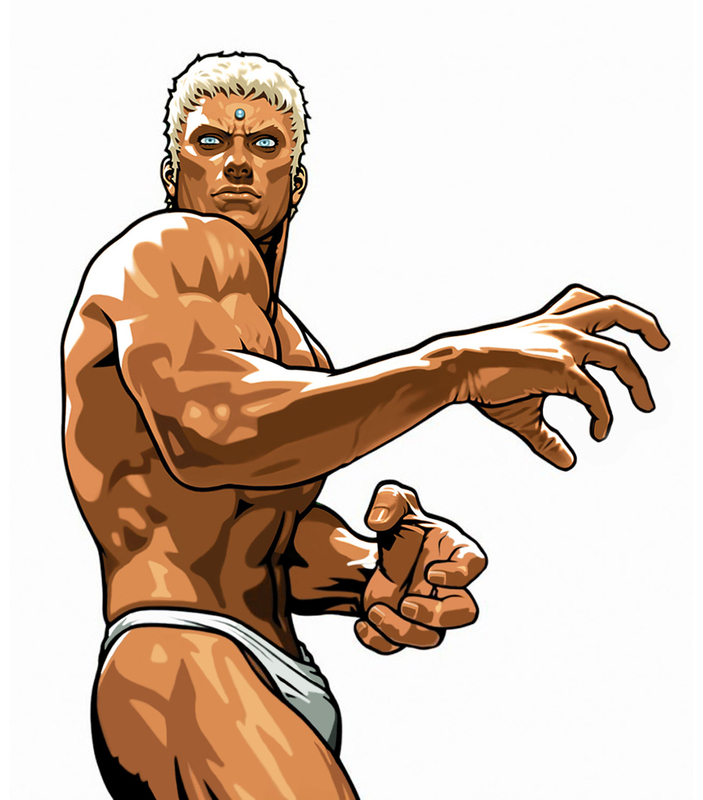 His Capcom Fighting Evolution ending shows Urien finally creating his army of Twelve evolving as himself. 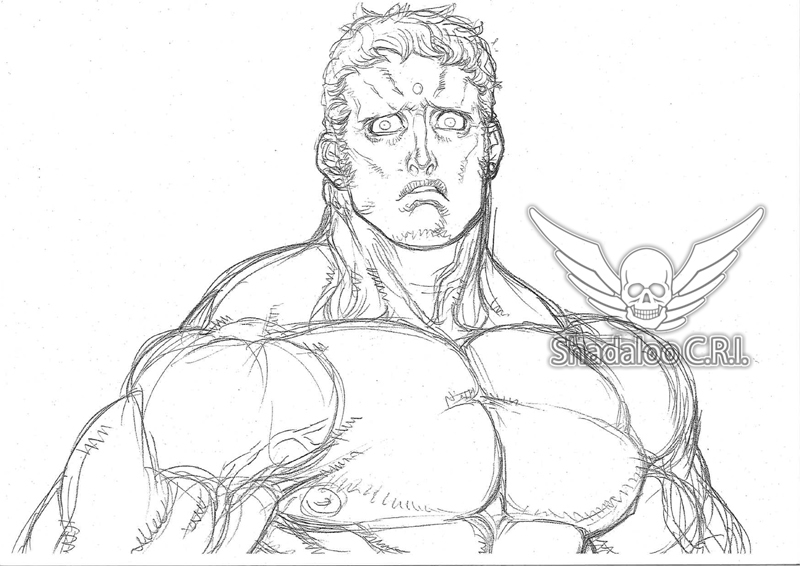 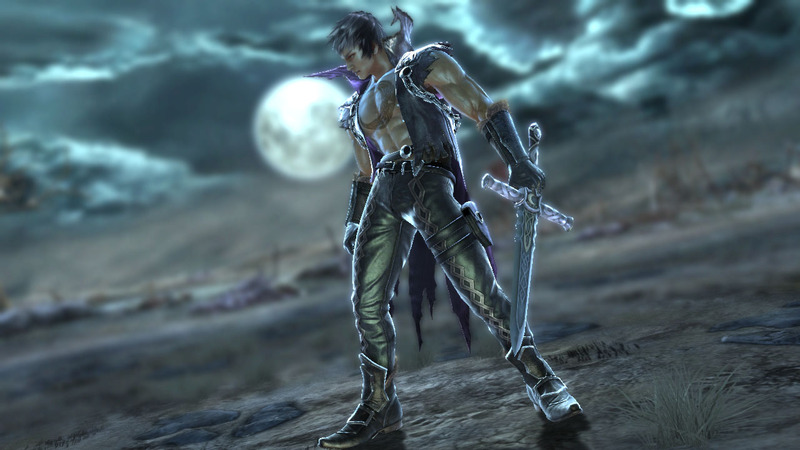 While Gill fails to attempt his army, Urien succeeds in this project. 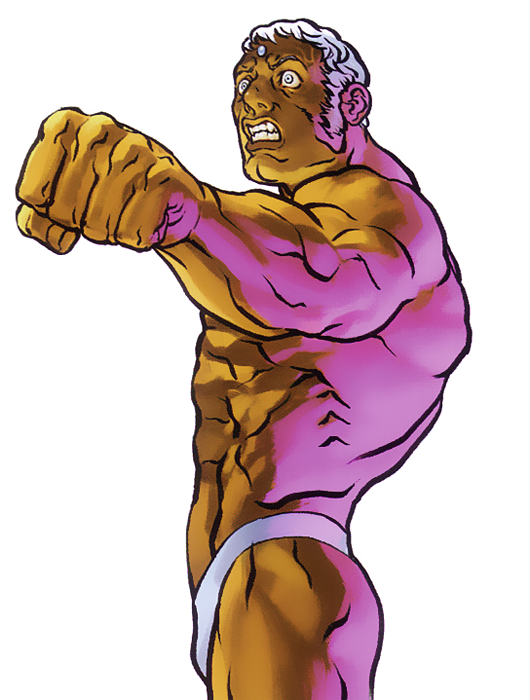 At first, you wouldn't think that some buff dude in his "underwear" could be an appealing character....Gill turned out to be a badass boss in SFIII, but of course he was too overpowered to use in normal matches. 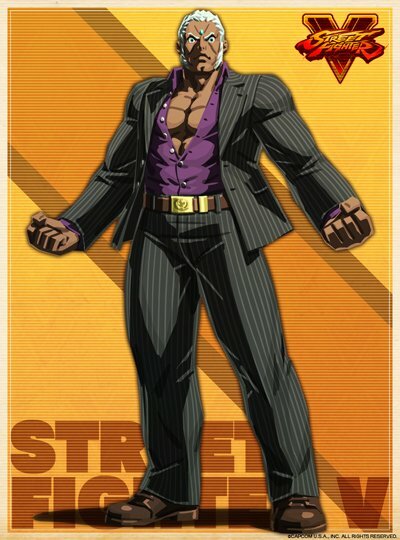 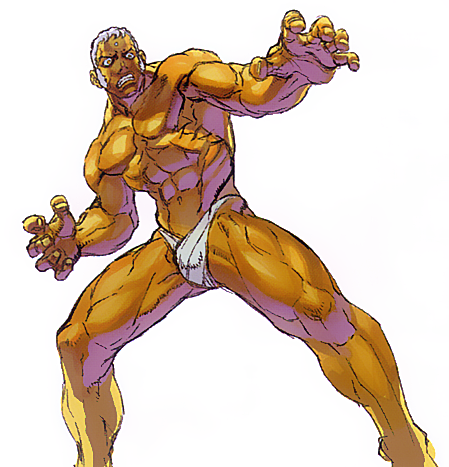 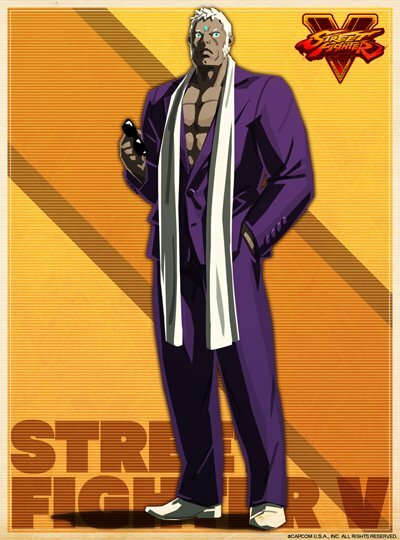 I suppose that's why Capcom decided to pull a "sprite clone" in 2nd Impact by creating Urien, who looks just as cool but is a more balanced fighter. 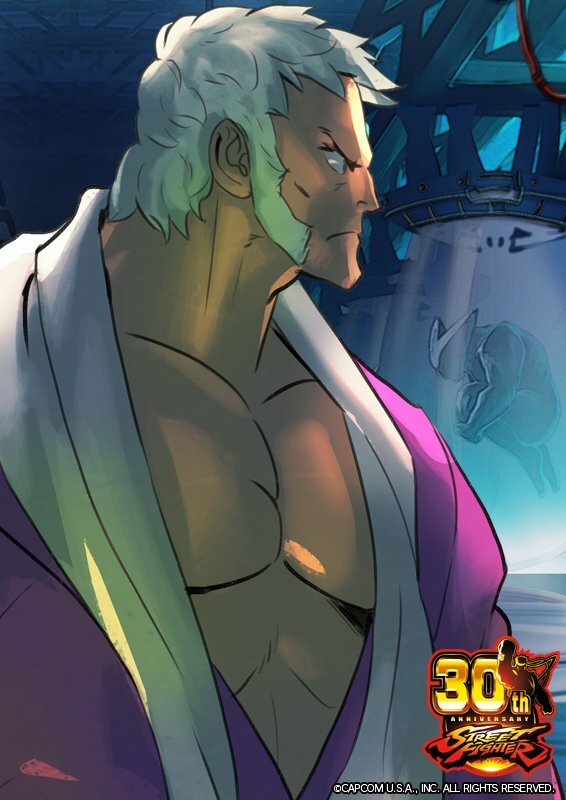 His animations are amazing to say the least... Those Capcom artists have clearly mastered their 2D sprite anatomy. 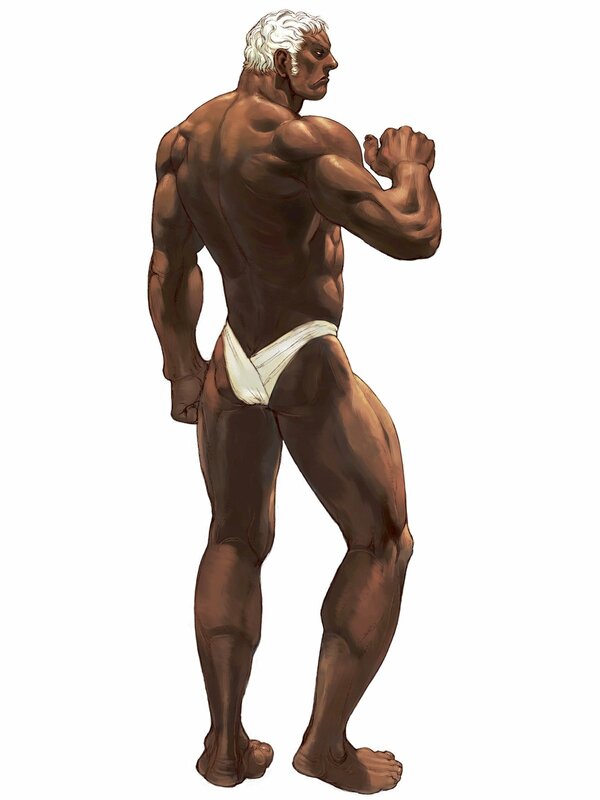 Urien thinks cloths are constricting, like his brother Gill, but he's built like a rock and clearly proud of it. 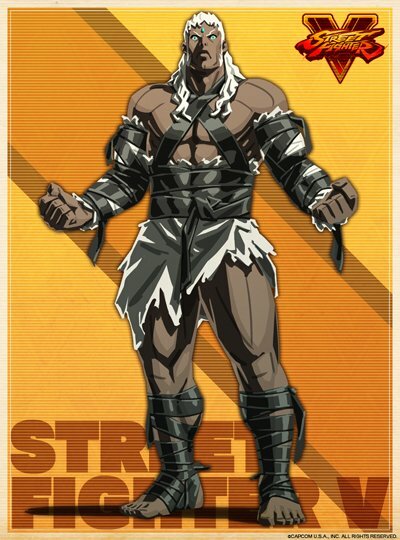 Urien's incredible voice actor and sadistic taunts & win quotes also portray his badass personality... "GET READY TO DIE!!! 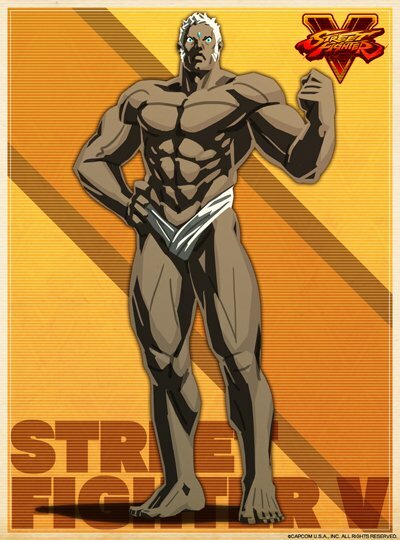 AEGIS REFLECTOR!" 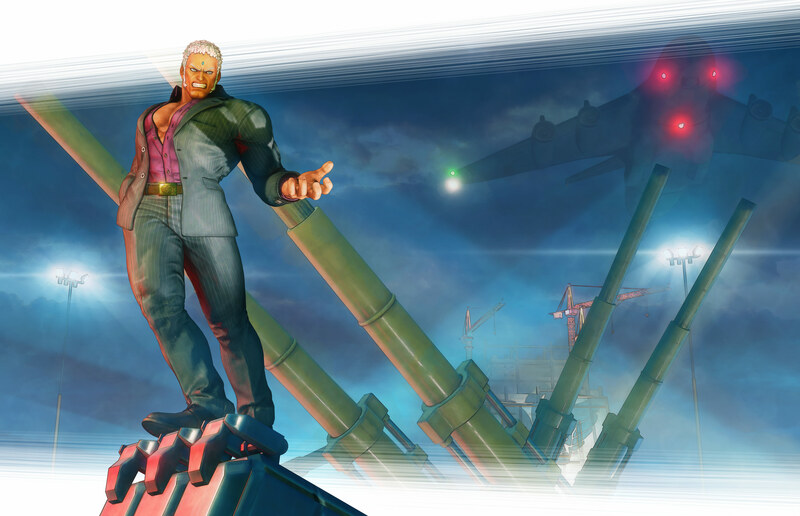 Urien's SFV incarnation was surprisingly very very good. 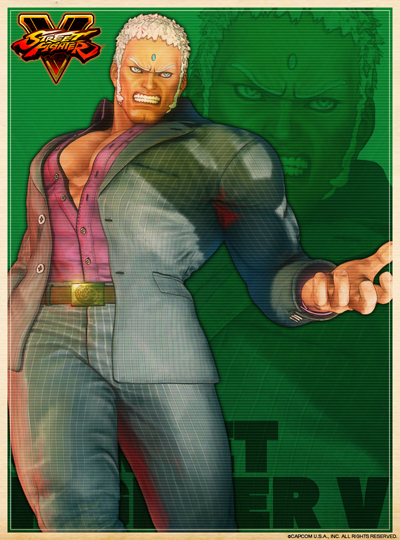 I'm not sure I've ever seen a 2D fighting game character translate into 3D graphics so perfectly as Urien in SFV. 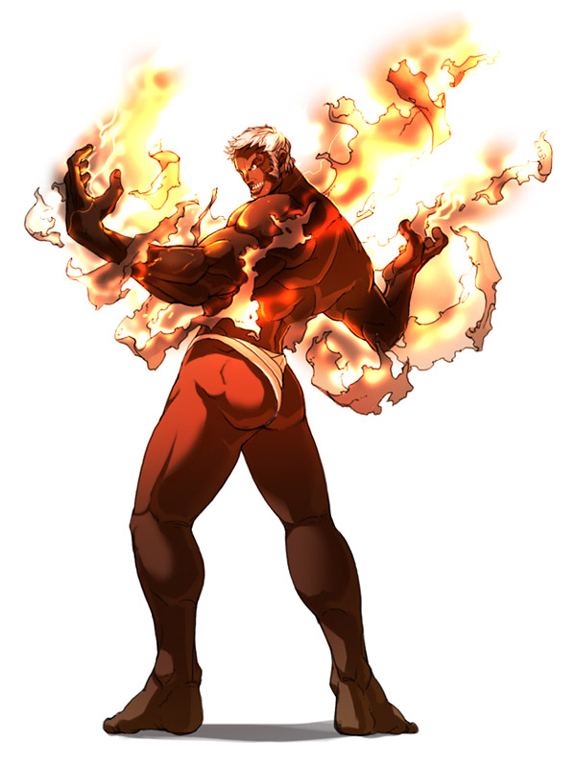 In closing, Urien is a hell of a lot of fun to use if you become adept with him and some of his combos are insane... Aegis Reflector combos are just so damn fun.